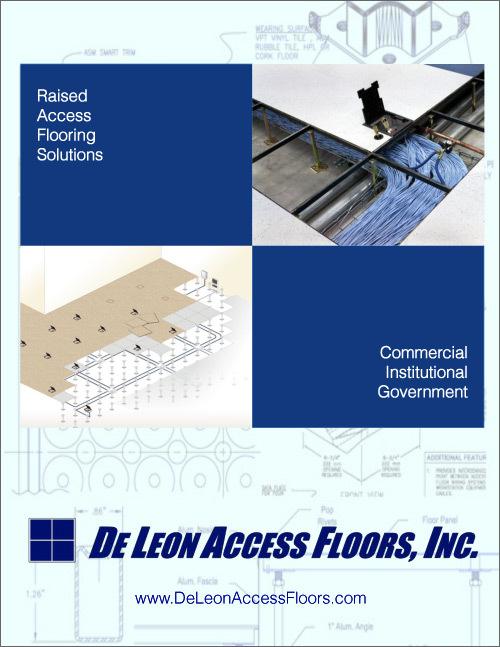 De Leon Access Floors, Inc. was founded in 1997 by Jose Giovanni De Leon. A raised floor industry expert for over 35 years, Jose learned the importance of superior quality products and workmanship from his father-in-law, the late raised flooring pioneer, James R. Irvine. Since its founding, the same three values have been followed by De Leon Access Floors... quality, integrity and product value. It is our goal to provide general contractors, facilities managers and fellow flooring contractors with the best raised flooring experience possible. De Leon Access Floors, Inc. is one of the nation's largest laminators and refurbishers of access floors. To date, we have laminated over seven million square feet of access flooring. A tremendous amount of in-stock panels thwarts long lead times and permits us to deliver and install panels in as little as one week. Every square foot of flooring that leaves our facility is hand inspected to ensure our customers with superior quality products and workmanship. Please see our Products and Services pages for a comprehensive overview of our offerings.